Indonesia is one of the largest countries in the world in terms of both, land area and population. Over the past five years, Indonesia’s urban population has increased by 53.5 percent, more than half of the country’s total population, according to Statistics Indonesia. The impact of urban population growth is directly proportional to the rise in demand for infrastructure and living facilities in the urban space, such as buildings and roads. As such, the Republic is now looking at the construction of buildings that are energy-efficient so as to minimise negative environmental impacts and to be more cost-effective in the short and long run. This is in line with a greater and more far-reaching plan of establishing smart cities within the country. Indonesia’s Ministry of Communication and Information Technology and the Ministry of National Development Planning (BAPPENAS), along with other local organisations have initiated a smart city programme which is aptly named the 100 Smart City Movement. The programme will be carried out by 2019. According to Frost & Sullivan, the Building Energy Management Systems (BEMS) market in Southeast Asia is set to develop at a compound annual growth rate (CAGR) of 12.2 percent to 2020. Cloud computing and the Internet of Things (IoT) are some of the next-generation IT solutions that enable the development of a new class of BEMS which offer comfort and optimised energy performance. The balance between productivity and sustainability is key. 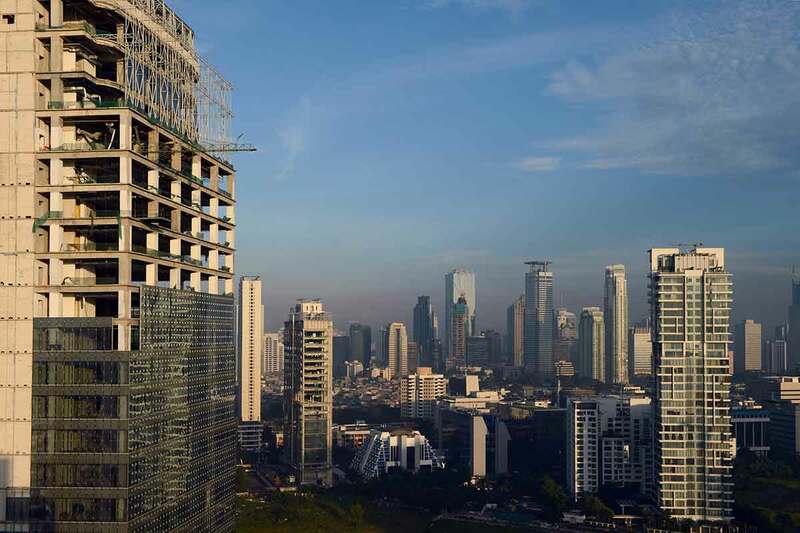 Due to a combination of policy support and tax benefits as well as educational and awareness programmes, the construction of smart and green buildings in Indonesia is projected to reach up to 25 percent of the market by 2025. With this in mind, most market players have begun to introduce cloud-based BEMS platforms and services. Indonesia’s hot and humid climate creates a soaring demand for cooling systems within its buildings. There is no doubt that these systems are costly and are contributors to the excessive release of chlorofluorocarbons (CFCs) into the atmosphere, leading to the undesirable consequence of the thinning of the ozone layer. Smart buildings could potentially reduce the cost of cooling and significantly decrease CFCs released. 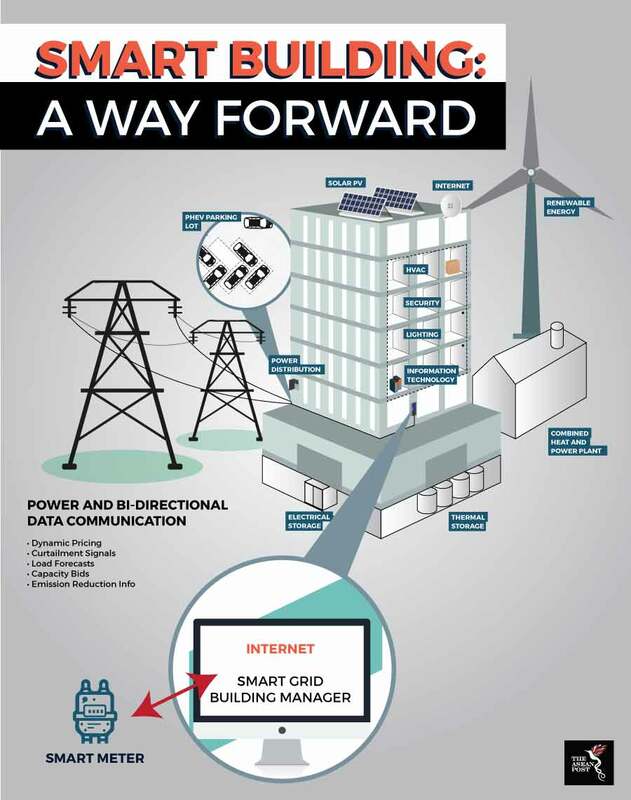 Buildings of the future must connect the various tools in an integrated, dynamic, and functional way. At its most fundamental, smart buildings deliver useful building services that enable its occupants to be more productive at the lowest possible cost. The application of optimised operation and increased efficiency in smart buildings have the potential to cut energy costs, for example, through the matching of occupancy patterns to energy use. A smart building will operate better when there are fewer people inside it. Dynamic power consumption is another key factor in reducing costs that stem from overuse of resources. By taking signals from the electricity market and altering usage in response, a smart building ensures the lowest possible energy costs. The possible generation of revenue can also take place by the selling of load reductions back to the grid. Green Building Council Indonesia has identified the components within innovative building solutions. These are: building intelligence and automation, smart lighting, electrical apparatus, vertical transportation, air condition and ventilation, access and security, water and fire systems, sustainable building materials, and passive building designs. The proposed smart buildings will also implement proactive maintenance of equipment where analysis algorithms will detect problems in performance before they can cause expensive outages. This enables optimum efficiency and reduced costs and wastage in building maintenance. The combined population of Bandung, Jakarta, and Surabaya reached a staggering 16 million in 2018. On this one statistic alone, the need to construct smart buildings within the framework of smart cities is greater than ever. It must be said that Indonesia’s move towards the creation of smart architecture is one that is commendable and urgently required. The government there will have to monitor the progress of its smart building initiative to minimise potential hiccups and ensure compliance across all future urban developments. This article was first published by The ASEAN Post on 7 May 2018 and has been updated to reflect the latest data.